Born utilising cutting-edge computer technology and the unequaled experience of American craftsmen who have been designing and manufacturing carbon-composite wheels since 1988. 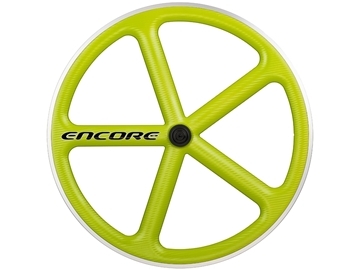 Encore Wheels have raised the bar and taken the next step to produce a wheel that is strong, fast, affordable, sleek and durable. Combining proven manufacturing techniques and decades of experience, attention to detail is down to the final finish to offer a complete product far superior to what is currently known on the market. The Encore wheel is a culmination of what works and what is next! This product may have some paint imperfections and/or storage marks. Standard one year warranty does not apply to paint work/paint finish.